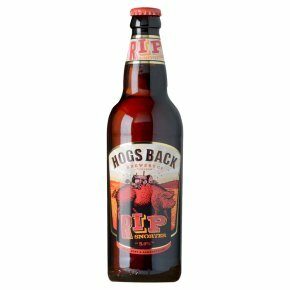 Rich, ruby & rambunctious.A reddish amber bitter with a powerful malty base and refreshing hoppy high notes on the taste. It is brewed with the finest English pale malt combined with some crystal malt and a touch of chocolate malt, and then we add a combination of local Fuggles and Golding hops at three stages during the copper boil. An Australian brewery visitor tasted the first brew and judged it a 'real ripsnorter'... we checked the dictionary - it was a perfect description.